Used once or used twice, we pay you top cash for cars in Melbourne. 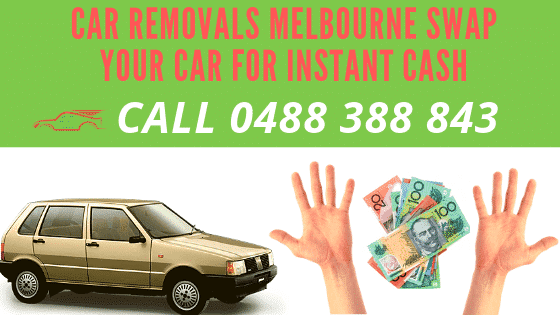 Express Cash for Cars is the best used car removal service in Melbourne. We Pay instant “Cash For Used Cars” any makes or models across Melbourne regions. If you want to sell your used car, give us a call and we will be happy to help. Our expert team will give you the best offer, an offer that you will not be able to refuse. If you have a used car that you are planning to sell, you might want to give us a ring. Once you call us, our expert team will be more than happy to be able to assist you with the same. When you call us, we give you a free quote for your used car. This is to give you an idea of how much amount of money we can offer to you for your used car. Once we have collected some information about your vehicle, we get a basic idea about the used car that you are trying to sell. No, we will not come to inspect your vehicle as our technical team consists of experts from the automobile industry. The quote that we give you will be the best value you will get for your car! You can feel free to check with other used-car buying services, and we assure you our price will still be the most satisfactory out of the lot. Once we have your information and you have been given the best quote in Melbourne, we will wait for your confirmation. Our team will then fix an appointment with you according to your scheduled time. As soon as the driver is at your prescribed location for your pick-up, he will verify the details that were provided at the time the quote was given. It’s a completely hassle-free process and you will be left without absolutely zero stress, zero used cars, AND FAST CASH up to $8999! We are continuously praised by our customers due to the prompt payment made to them after your used car has been picked up by our driver. As we’ve already said, we will give you the BEST price IN CASH for your used car in Melbourne up to $8999! Our services are prompt and efficient to its best! Our customers are all happy customers and we ensure we take genuine feedback from them. All our testimonials are positive and full of gratitude! We are thankful to our customers for taking the time out for leaving us such great reviews. This is because the price offered by us in cash for used cars is always the highest when compared to other car buying companies. Don’t wait anymore! Give us a call get your instant cash NOW! Call us on 0488 388 843 and get rid of your used car Today! 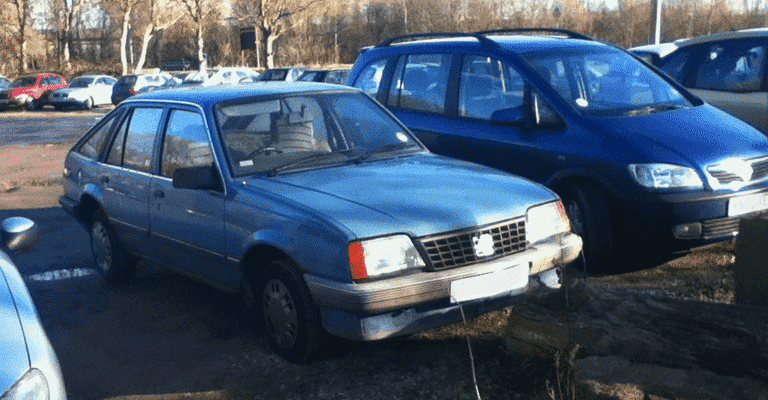 The best way to dispose of an old or scrap car is to have it recycled. Express Cash for Cars is a car recycle in Melbourne that offers free car recycling. We pay you to dispose of your vehicle with us. At Express Cash for Cars, you get paid to recycle your old or scrap car, truck, van, SUV, 4×4, or bus. We are a cash car buyer that offers eco-friendly auto recycling services in Melbourne. We know our business, and that is to provide eco-friendly car recycling for all cars ready for disposal. With Express Cash for Cars, your car is sold and recycled, and you get paid cash for the vehicle. Whether your car is old and at the end of its life, or severely damaged due to fire, flood or accident or in a rusted, deteriorated condition because it was left unused for many years, you have a cash for car buyer for the vehicle with Express Cash for Cars. Eco-friendly is the way to get top cash for cars ready for disposal. Express Cash for Cars is your car buyer that is a recycler, so we know the scrap business and know how to get the most cash for the cars. No prepping your car for recycling – We do all the prep work including draining the liquids and dismantling the vehicle. No paying for towing of your vehicle – We provide free car removals Melbourne. No having to pay for your car recycling – Our recyclers are the best at what they do, so you get the most cash for your car. With Express Cash for Cars, you have car recyclers that remove your vehicle for free. We provide our customers with car removals that are convenient. You choose the time you’d like to have your vehicle removed. We remove all vehicles being sold to us, requiring proof of ownership and the plates of the vehicle removed. You count the cash while we do all the heavy work of loading the vehicles. With Express Cash for Cars, you do not have the hassle of having your scrap car brought to our wrecking yard. We take over all the hassles for you. Why Melbourne Car Sellers Choose Us? Car sellers have a place they can sell their vehicles with just a call or contact us over the net. Car sellers can rely on first-rate services. Car sellers can sit back and count their cash while we deal with all the hassles of the paperwork and removal of their vehicles. To obtain a cash quote for your vehicle, please contact Express Cash for Cars at the number below. For an online quote, please complete our online quote form at the top right of this page. With us, you have a car buyer that is your car recyclers for top cash for your car. Call us for a quick cash quote for your scrap car. Call us at 0488 388 843. Sell your registered or unregistered car with ease to Express Cash for Cars. We are the cash for car buyer in Melbourne that buys all makes and conditions of vehicles. Express Cash for Cars is your place to get cars of any make and condition sold – sold for cash. Finding a buyer for your unregistered car might be a challenge. If you’ve been unsuccessfully trying to sell your unregistered car, then worry no more. Express cash for cars buys unregistered cars. We will require proof of ownership of the vehicle, as well as sellers to provide us with current photo IDs to confirm they are the owner of the vehicles being sold. Entire car collection. You can have cars that are in pieces, cars that are roadworthy or cars that are in need of repairs, and we’ll make you a reasonable offer for each. Old cars that are at the end of their lives or not worth the cost of repairs. A cash offer is on its way as soon as you reach out to us online or over the phone. Damaged cars that have minor repairs to complete or not worth the costs of repairs. A cash offer for the vehicle is on its way. Just contact us for a quote. Wrecked cars that still have working parts that can be pulled for resale and the metals of the vehicles recycled. We will pay cash for the vehicle. Used cars that car owners don’t have the time to get around to selling, or they can’t find a buyer for the vehicle. We’ll make a reasonable offer for any used car, truck, van, 4×4, bus, or SUV. Scrap cars that are in scrap condition yet have plenty of metals in the body and engine of the vehicle. We will purchase the vehicle to recycle the metals, making car sellers a fair cash offer to recycle their vehicles. When we remove vehicles, we make the process simple and quick. Car sellers contact us for a cash quote for their vehicles and, once accepted, they could then schedule a free car removal Melbourne. Our removals are quick and convenient and always offered at times that are convenient for sellers, as we allow them to choose the times for their removals. Express Cash for Cars also includes all necessary paperwork and a cash payment at the time of the removal. Whatever the vehicles make, model or condition, you have a sure buyer for it with Express Cash for Cars. To obtain a cash quote for your car, Express Cash for Cars can be reached at the number below. We provide online quotes, as well. Contact us for a cash quote online by completing our online quote form at the top right of this page. When describing your vehicle, please be as specific as possible with the description of the vehicle. All quotes are provided with no obligation to accept the cash offers. Get a cash quote for your unwanted car, truck, van, SUV, 4×4, or bus. Call Express Cash for Cars at 0488 388 843. We buy every make and condition of car or truck. Express Cash for Cars is your place to sell your damaged car for top cash. We dismantle cars of every make and condition for a top cash sale. One car or many, get top cash with us. Contact us for a quote. At Express Cash for Cars, there is no reason to think your vehicle is worth only a few dollars. We are auto wreckers that dismantle vehicles until we get top value out of the cars. Our car wreckers are experts in their trade. If there is life left in the engine parts, they will recondition them to resale, provided that they have the longevity and performance that will make them quality parts. If the body has parts like fenders, doors, etc. that can be reconditioned and resold. We will recondition and resell the parts, as well. We are auto wreckers that know our business and know how to get the most cash for damaged vehicles. What cannot be pulled and reconditioned will be recycled for the metals of the part. With us, you have car dismantlers Melbourne that know their business of wrecking cars. With Express Cash for Cars, your car is removed for free and dismantled for free. We are car dismantlers Melbourne that are eco-friendly, so car sellers don’t have to be concerned with a car disposal that leaves a huge carbon imprint on the environment. Our removal process for damaged vehicles is simple. The car may be in working condition, or it may no longer be roadworthy. Either way, you will get top cash for the vehicle and a free car removal Melbourne. Our car removals are quick and convenient, offering our customers the ease f having their vehicles removed when they have the time to spare in their days. Instant cash quotes – Car sellers can obtain a quote over the phone or online. Provide our car appraiser with a complete description of the vehicle, and we’ll make you an offer. Instant payments – Car owners that sell their vehicles to us will receive an instant cash payment for their cars, trucks, vans, SUVs, buses, and 4x4s. Free car removals Melbourne – Car sellers that sell their damaged vehicles to us have no concerns of having to pay for towing. We provide courtesy car removals anywhere in Melbourne. Free car wreckers – Your mind is put at ease that you have a wrecker that will get the most cash for your car. Free car recyclers – Your car recycling is always free with Express Cash for Cars. Free paperwork – Express provides all the paperwork for a legal sale of the car to us. We are cash car buyers that are reliable and experts at auto dismantling and wrecking. Express Cash for Cars buys privately owned vehicles, commercial vehicles and company fleets. Express Cash for Cars is a damaged car buyer that valuates vehicles online and over the phone. To obtain an online quote, please contact us via our online quote form at the top right. To get a quote over the phone, please call us at the number below. We are the cash car buyer that pays top cash for cars of every make and condition. Get top cash for cars offer by calling Express at 0488 388 843. Twisted metals, failed engines, rust and corrosion. Express Cash for Cars pays cash for scrap cars Melbourne of any make and condition. 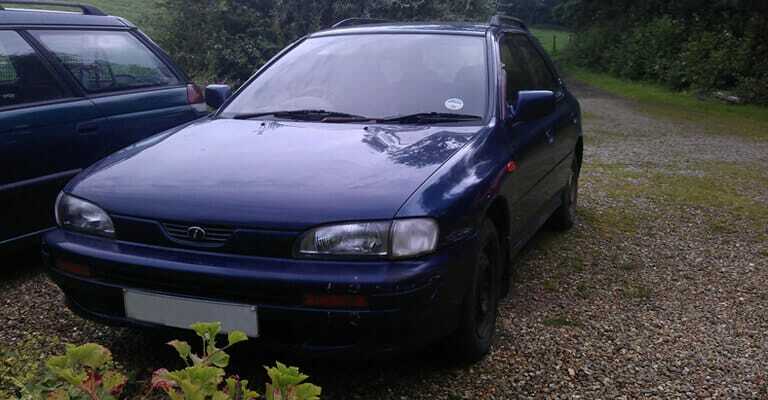 We are your source to get cash for your scrap car today. Contact us for a quote. Get Paid Cash for Scrap Cars Today – Get Instant Quotes, Instant Car Removals & Instant Cash Payments! How can Express Cash for Cars put the most cash into your hands? Because we take scrap cars and pull any working parts to recondition and then take what’s left, which is tonnes of metals and recycle the metals. That’s how we pay top cash for scrap cars Melbourne. Scrap car owners get paid for any working parts of their vehicles that our wreckers can recondition for resale. Scrap car owners get paid cash for the recycling of the metals of their vehicles. We are the cash for cars company that is in the scrap car buying business, so we know how to get the most value out of the cars, trucks, vans, SUVs, 4x4s, and buses sold to us. Value that we pass on to the seller. 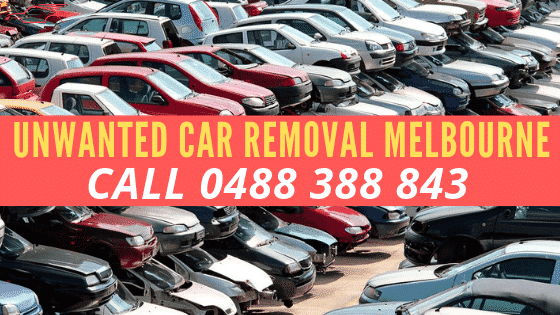 Free Scrap Car Removal Melbourne – Give Us A Call to Schedule Yours Today! With Express Cash for Cars, you have everything you need for your scrap car with one call. You have a free scrap car removal company as well as wreckers and a recycler, and while our services are first-rate, you don’t pay cash to get rid of your scrap car, you receive it! We pay cash for scrap cars Melbourne making the process one that is simple. We cover it all! And, put the maximum cash into your hands. Contact Express Cash for Cars – Call us and provide the details of your scrap vehicle. For an online quote, please contact us via our online quote form at the top right of this page. Accept Our Offer – Once you receive the quote, accept or decline our offer. 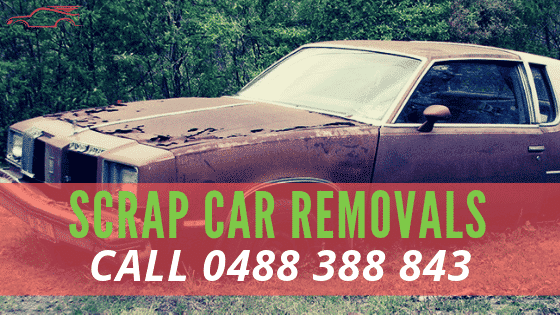 Schedule A Free Car Removal – Car owners that accept our cash offers can then schedule a free scrap car removal Melbourne. Say No to Selling Expenses and Yes to A Cost-free Car Sale! We are the cash for scrap cars Melbourne buyer that will purchase your vehicle today. No advertising – We buy cars now! 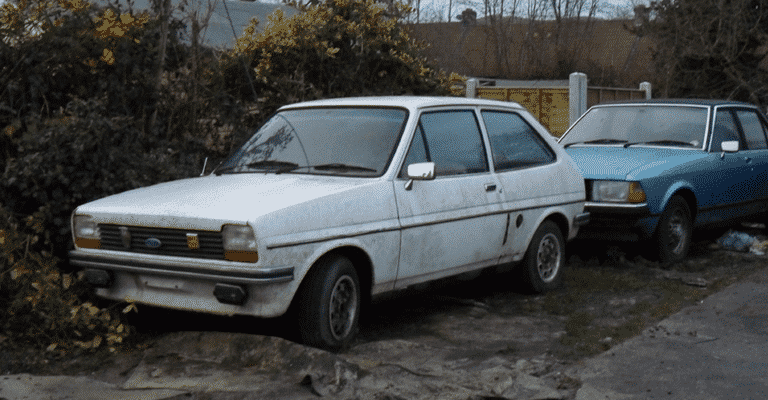 No repairing – We buy cars in “as is” condition! No waiting for a cash payment – We pay cash on the spot! No paying for towing – We offer free scrap car removals Melbourne! With Express Cash for Cars, you have a buyer for your scrap car that covers all your needs. Get top cash today. Contact us at the number below or complete our online quote form at the top right.